Björn M Buttler Jakobsen has recently turned 70. 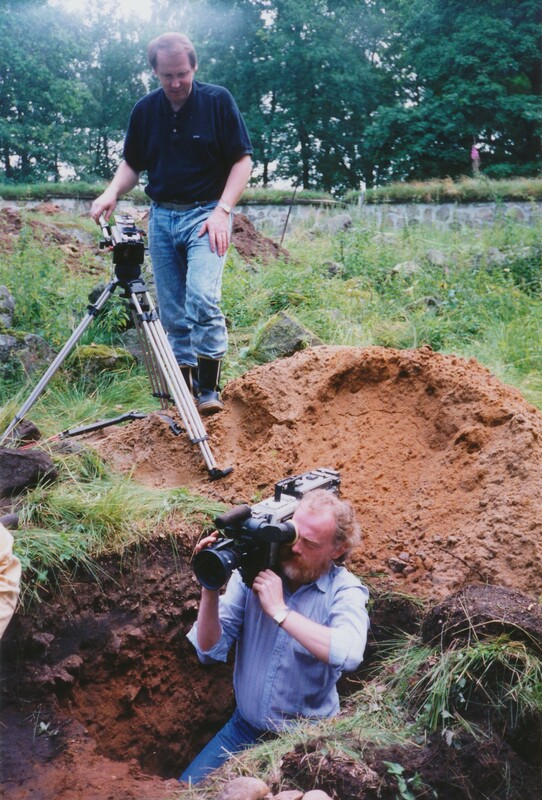 He has worked presenting history and archaeology since the 1970s. His background is as an engineer, film maker, entrepreneur and he can also call himself marine archaeologist. Anything can be done if you have the will to do it! ... We planned to build a complete reconstructed maritime town environment – a Viking Age town – tied to the marketplace where the battle in 1134 AD took place. It was to be based on scientific fact and using experimental archaeology to develop the methods, tools, products and not least the buildings needed. How did you get onto the museum path? I was working with audio/visual-productions, films and slideshow presentations during the 1970s, among others for the Malmö City Museums. It was focused on flight, ships and technology. When maritime finds of Viking ships were made in the bay of Foteviken it felt natural to make a film about this for Swedish and Danish TV. This film was followed up by film documentation of the 25th anniversary of the ships found in the Roskilde fjord, and the Falsterbo ship at Falsterbo Museum. Then a study of the last fishermen of Malmö, the excavation of the Trelleborg (Harald Bluetooths fort), and a log boat journey from Travemünde, Germany to Trelleborg, Sweden. An extensive project involved an advanced slideshow production about the Vikings, that was on display at the large Viking exhibit in Florence, Italy and Malmö City Museums. When the associate professor Anders Odman began experimental archaeology activities in Hög, this was also part of the documentary work. How did you get into marine archaeology? A determined focus on marine archaeology led to the founding of the organisation Scandinavian Viking Explorer Group (SVEG). I remain a chairman of this organisation, 35 years after its founding. With SVEGs involvement, maritime studies around the Falsterbo peninsula, started by the Malmö Museum of Maritime History, were resumed by me. I organised volunteers, sport divers who participated at the examinations of the Foteviken Viking ships, archaeologists and fishermen. First we constructed a 10x10m raft holding a workshop, office and sleeping quarters, an archaeological field work site with sifters and a diver section with pumps and power plant. This was followed by a diving boat constructed on an oil clean-up barge. How was this work funded? With the help of sponsors we could spend several years searching for and documenting about 40 wrecks around the Falsterbo peninsula. To mention a few in particular, the Knösen, Brick wreck and Skanör cog. My network of contacts from film production made it easy for companies to support this maritime activity. With the construction of the Öresund bridge maritime examination of the sea was needed. The whole project was conducted by Danish marine archaeologists as the authorities did not feel there was relevant marine archaeological competence available in Sweden. This made me quite annoyed. I courted the Swedish Sport Divers Association and with funding from them I invited the marine archaeological world to a conference in Falsterbo. The Swedish delegates, roughly 20 of them, participated: Johan Rönnby, Christer Westerdahl, Catarina Ingelman Sundström, Carl Olof Cederlund and Bert Westenberg to mention just a few. The idea was to produce educational materials for land archaeologists and sports divers as well as archive researchers on this topic. By the coffee break everyone had agreed, so we started Stocktaking Sweden. Around this time Sven Rosborn resigned from Malmö City Museums and I encouraged him to participate with his plans for educational materials for museums. To gather a broad material of wrecks, underwater barriers, techniques and the like, a tour of Sweden began. 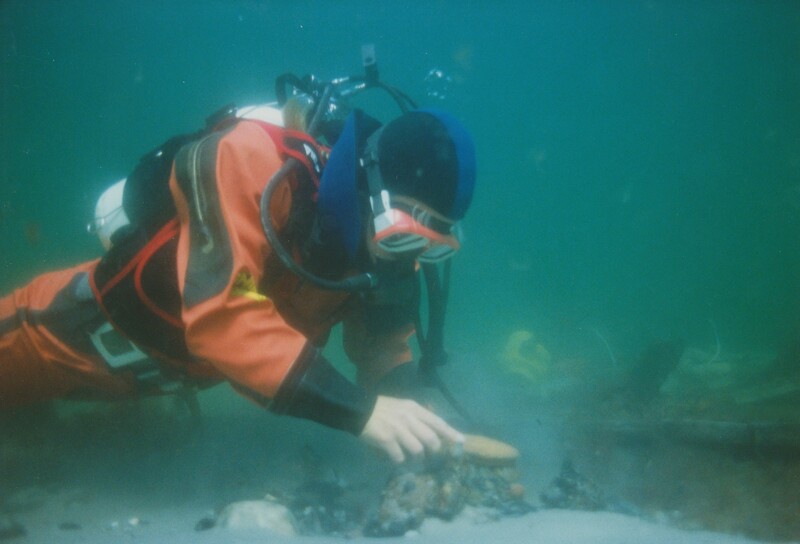 The ”Marine archaeological stocktaking of Sweden”, where 15 people travelled around, conducted dives and collaborated with local archaeologists, museums and sports divers at the various locations. We travelled around in two buses, my mobile home, kitchen, diving gear and a rubber boat; filming and photographing for the maritime educational materials. It took us a couple of years to compile, but resulted in 21 pamphlets with a total of 600 pages, along with almost six hours of educational films both above and under water. Even though the material is roughly 25 years old now, there is no modern alternative available and most of it is still valid. The material also made up a five-point course at the University of Lund under the leadership of Christer Westerdal, and myself as one of several lecturers. Currently I am working on digitizing the material. This way we engaged more marine archaeologists in Sweden. How did the idea of the museum emerge? I had presented the film about the Falsterbo ship to officials of the Vellinge municipality, and was asked how much money would be needed to create a maritime museum in Vellinge showing its marine history. My proposal was accepted, and I was tasked by the municipality to create a maritime centre on the Falsterbo peninsula. The first step was to find a suitable location. At the time we had been provided with a corner by the Falsterbo channel where our diving raft was moored. In a temporary work environment made up of construction sheds the work was planned. This was conducted in parallel with the marine archaeological activities? Yes. The examination of the Knösen wreck was performed over several summers. I kept the volunteers working together, arranged funding and equipment from our sponsors. The Brick wreck that was later discovered was unique and I was granted funding from the Swedish National Heritage Board to secure the wreck. Around this time the Skanör wreck was also sighted. With the aid of divers it was identified as a Cog type ship. This would turn into one of the largest marine archaeological examinations in Sweden, aside from Vasa and Kronan. Marine archaeologists from across the country, and beyond, participated. During these years I was a member of the Swedish Marine Archaeological Council, initiated by the Swedish National Heritage Board. Where did all the people come from who participated in this work? At the time unemployment was rising in Sweden and Velling municipality lacked the institutions to properly deal with all the unemployed. I was asked if I, with all my crazy ideas, could contribute somehow, and that is what happened. A team of archaeologists, sports divers, film makers and photographers started examining the entire maritime environment around the Falsterbo peninsula. A group of biking measurers kept track of ocean streams, sand migration and water levels daily for a year to map how the coast line was moving. A group stationed at Foteviken made an extensive phosphate analysis of the area around the bay. This was tied to the Battle of Foteviken in 1134 AD and the market place and cemeteries that should be present in this area. An IT-gang created the first Foteviken web site, which was one of the first museum home pages in Sweden that was filled with facts. When did you move from the channel to the current location? Around this time I found the site and gained approval from the municipality to relocate there. From the overcrowded sheds by the channel and various sites around the municipality, we moved to the area where the Falsterbo peninsula connects to the bay of Foteviken. This was an intensive period. A marketing department was appointed and with their aid material and equipment for around 100 000 SEK per month were gathered. Nearly 900 companies contributed in one way or another. 134 unemployed people, archaeologists, historians, marketers, lumberers, craftsmen and administrators were also involved. We had been provided 70 000 square meters of land by the sea by the municipality. The few buildings at the site were expanded with construction sheds and modular buildings moved to the site. Offices, meeting rooms, computers, workshops and equipment flowed in and built up. What happened to the marine archaeology? After all these years of work to gather funding, and then a future to show what has been accomplished, it became natural to move the activities to the new location, and shift from marine archaeology to maritime. With the new sheds and buildings we had created we made workshops, where the first marine archaeological studies and model construction at a scale of 1:5 could be made to show both the Knösen and Brick wrecks along with the Foteviken Viking ship. Were you satisfied with models? No, the next step was full scale reconstructions. Full scale boat building started with a number of small farings and test constructions, before beginning in earnest with the Foteviken ship and the Finnish find in Lapouri. At this time a Russian boat builder I had met on the internet was invited and he constructed a sewn Russian boat on the site. Our appetite was now whetted. We planned to build a complete reconstructed maritime town environment – a Viking Age town – tied to the marketplace where the battle in 1134 AD took place. It was to be based on scientific fact and using experimental archaeology to develop the methods, tools, products and not least the buildings needed. Was that not over the top? No, slowly but surely we built it up house by house and furnished and equipped them. The site was surrounded by a town wall. Visitors started pouring in, SVEG was turned into a support association for the new museum, and I took the position as museum director. Foteviken Viking Museum was now established as a municipal museum. It has buildings more fit for purpose, with permanent staff and a large group of professionals who could participate in the various projects. But personnel, materials etc. cost, money? The museum was supposed to be self-sufficient. This meant taking part in various unemployment projects, funding from sponsors and various subsidies. Was this when the EU projects entered the picture? Yes, the first EU project started was a collaboration with the Museum of Roskilde, Denmark. 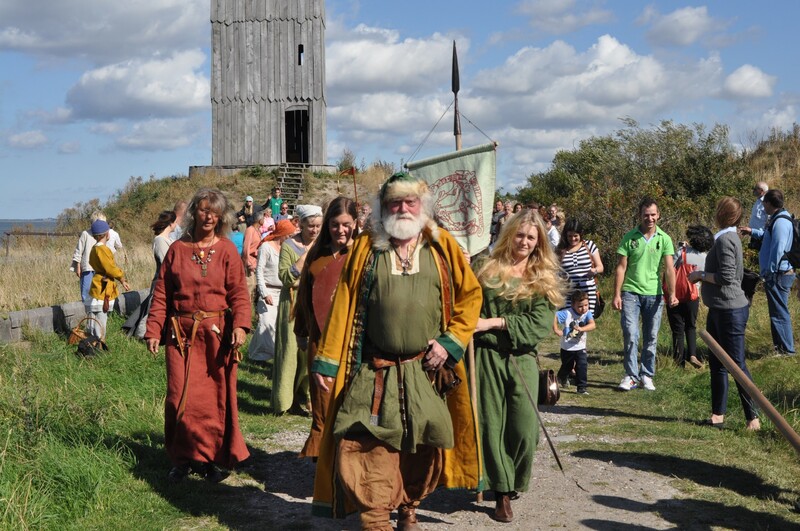 It was a historical inventory of the Öresund region with a database of historical events in the towns. This project was quickly followed by several more. I am of Norwegian ancestry, and when I came into contact with my countryman from Stavanger Geir Sør-Reime it really took off. I became an observer in his North Sea Viking Legacy project, initiated by the Rogaland Fylkeskommun. By chance I came across a project that needed municipal support and project management. This became Balder, a Vellinge municipality project with me as project manager for the Viking Age part. This was followed by Destination Viking Baltic Story with me as project manager, then Destination Viking Sagaland with Iceland as lead partner and me as consultant. The municipality had also started several projects, and in collaboration with Nils Arvid Andersson of Vellinge municipality there would be more, such as the KnuT cultural history project. For the next 20 years one project was followed by another. Did all these project not occupy all your time? No, the reconstructed Viking town grew in parallel with this. Our modern workshops now included a forge, tailoring shop, lumber yard, carpentry workshop, tannery and skin workshop, along with a research department, model building, IT, audio/video film and photo. How did the cog ships enter the picture? The high unemployment persisted, and we were contacted by Malmö City. They had seen how we had built up the concept around Foteviken and the historic site there and asked us: ”We have unemployed people and funding – do you have any ideas for a project to engage them?” Of course I did. We presented a proposal where we would make full scale reconstructions of cog ships, with the Skanör cog as the main attraction. Along with this a group would be formed to, based on historic and archaeologic material, produce medieval clothing and other objects. And another group to document everything with pictures, text and a web site. It was all approved. We constructed a shipyard in Malmö were we would build two medieval cog ships. Nobody knew how yet, but we were determined to do it. Lecturers and of course leaders from across Scandinavia were brought in to teach old crafting techniques, and a very exciting period of experimental archaeology took place. We established crafting and shipbuilding workshops. I bought an old 50 seat bus that brought unemployed people from Malmö to Foteviken daily to work on the project. In parallel we built an IT department in new facilities who worked with multimedia, documenting work in text, images and video. At the Malmö shipyard by the hovercraft terminal, two ships were built. After this our mission shifted to a shipping company for the ships, and the construction of museum environments and activities connected to the ships, resulting in the Malmö Cog Museum. How did you have time to run two museums, and more? Anything can be done if you have the will to do it. At this time I also got involved in the forming of the network Sveriges Levande Forntid as vice chairman. 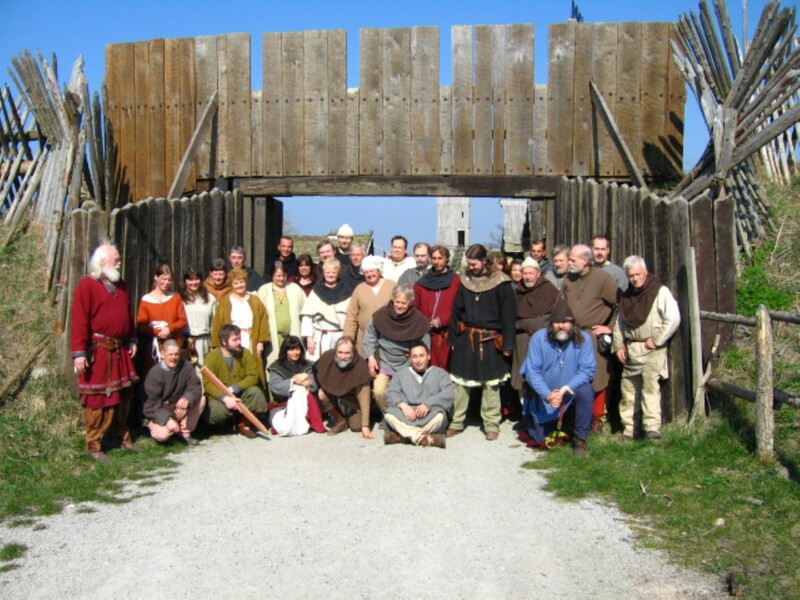 The organisation works to organise experimental archaeology, ancient historic villages, museums and boats – all forms of historic reconstructions. The chairman Tomas Johansson tragically passed away after a few years and I had to take over the role as chairman, and worked toward broadening the organisation to the Nordic stage. 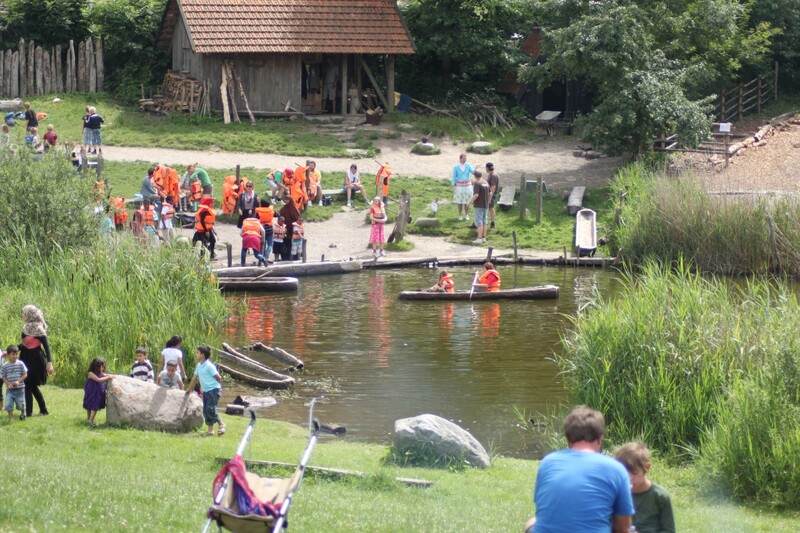 NOOAM, the Nordic Organisation for Open-Air Museums, was formed. At this time Tomas Johansson also initiated the formation of EXARC, a European counterpart to the Swedish network. At a meeting in 2003 in Leire (DK) the organisation was formed, and I became chairman in 2005. EXARC has since grown substantially with Roeland Paardekooper as director. During the starting up of the Swedish network and my participation in the EU project Destination Viking Baltic Sea I came into contact with then student Roeland Paardekooper who had an interest in marine archaeology. 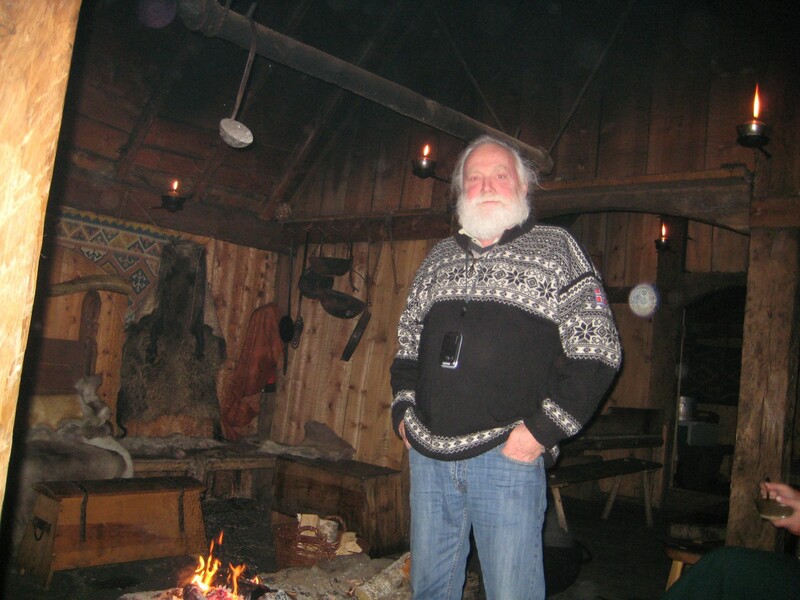 I invited him to a meeting at Foteviken, and since then we have stayed in contact. We have worked together on several EU projects and the development of EXARC into what it is today. Much thanks to Roeland and his wife Magda who are 100% enthusiastic driving forces. Are you involved in other organisations? Yes, from the EU projects around the Viking concept, the Destination Viking Association was formed, with me as vice director. I am also the vice chairman and treasurer of the European branch of the International Museum Theatre Alliance (IMTAL). Closer to home I am chairman of Handelsplats Höllviken, the local tourism and development organisation in the community where the museum is located. Have you received any recognition for your work? I have received the Lions Paw award from Club Lions and the Vellinge municipality cultural award. Along with my colleague Sven Rosborn, I have also received the Swedish Cultural Heritage Enthusiast award. Are there any more EU projects on the way? Yes, the list continues to grow with projects tied to reconstructed archaeological environments, such as the LiveARCH projects with EXARC as one of the driving forces. Here I was involved in establishing the official term for this type of museums, ''Archaeological open-air museums'' (AOAM), and was responsible for quality assurance of AOAM. 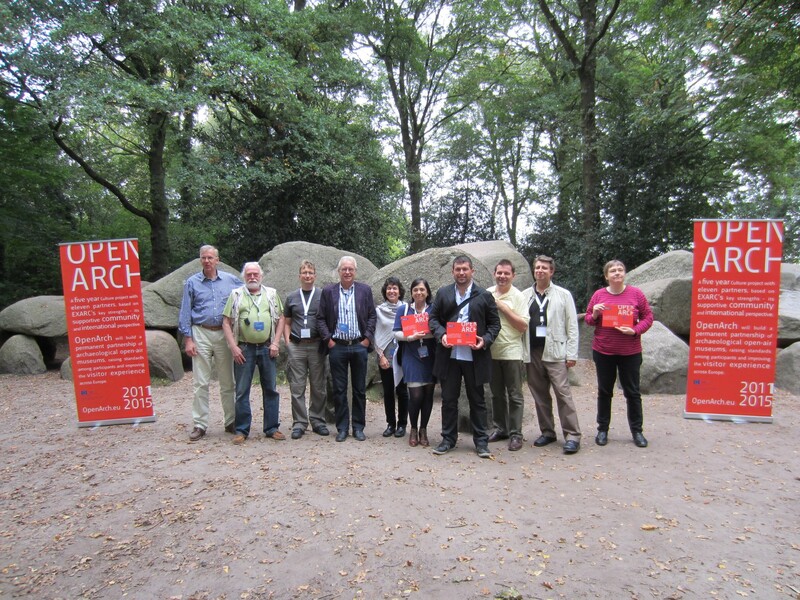 This project was followed by the EU project OpenARCH, also spearheaded by EXARC. Here I was involved in a report of concepts surrounding development and management of historical facilities. The idea of the EU projects is to work toward improving experimental archaeology, volunteer engagement, collaboration between local museums, marketing, and evolving the Destination Viking concept locally and globally. But that is not all, is it? There has indeed been more. During the past 30 years I have also been involved in several concepts and projects alongside the museum. I have created a holiday cottage village where volunteers and visiting school groups can stay overnight. This later evolved into a hostel renting out cottages to visiting tourists. The Foteviken Culture Centre: a feast hall with a full restaurant kitchen where company groups could enjoy Viking-style meals following guided tours and games in the Viking town. It has since developed into a community centre where local organisation meetings and private parties can be arranged. The modest museum entrance shop building has been expanded by 250 square meters, with a later addition of 500 square meters of exhibitions, offices and library. The old museum administration building has been taken over by the Scanian Crafts Institute, arranging LSS activity there in collaboration with Frösunda. The two persisting concepts are the Foteviken Viking Museum with the Viking town, and the Foteviken Culture Centre with facilities for events, associations and living. You have passed your prime, is it not time to slow down? For the past five years I have been planning my own retirement from organisations I have participated in or built up as a new generation takes over. The cottages, crafts institute, events and community centre are now managed by others. Though I still remain as director of the museum. Do you have any other goals? My goal is to get my own municipality and local populace to be proud of having Foteviken Viking Museum and also of their history, including the Battle of Foteviken of 1134 AD involving the Scanian king Erik Emune, and embrace the Viking concept as a tourist attraction. My second goal is to show the world that Vikings are an exciting tourist destination, both where they came from and where they journeyed. Thus, while no longer directly involved in Foteviken Culture Centre new projects beckon. Today I am chairman in Handelsplats Höllviken, the local tourism and development association and have a seat in the municipal business and tourism council. In addition to that my calendar is full of travel and projects benefitting Foteviken and Vellinge tourism and businesses, maritime history and experimental archaeology. So I am a pensioner in name only.